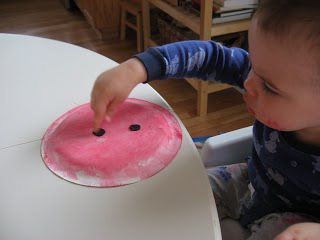 Toddlers and young preschoolers will love painting the paper plate, but the small pieces to glue will require a lot of adult help but 4 and 5 year olds will love it! This is a great farm animal craft and lesson about color mixing. 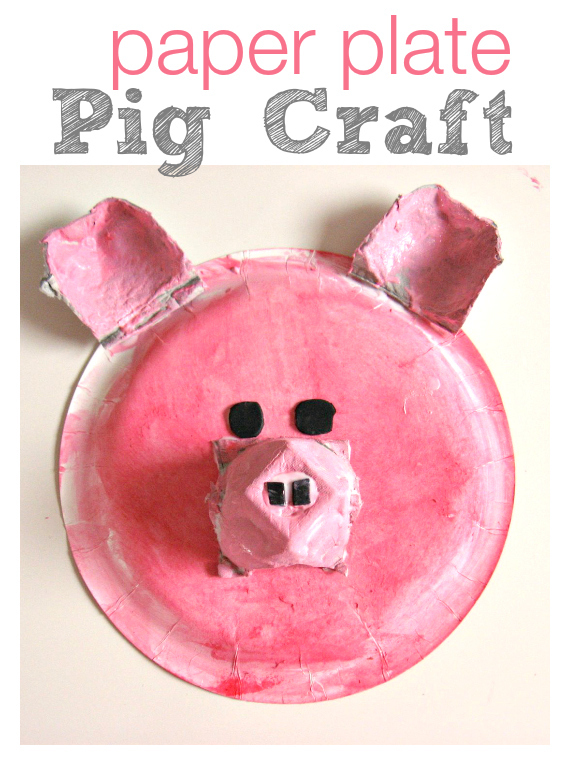 Check out how we made our paper plate pig craft below. Gather your materials. 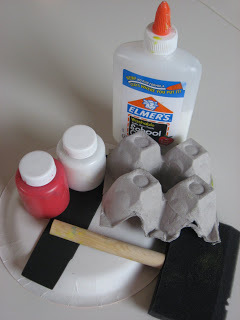 You will need a paper plate, 3 sections of an egg carton , scissors, some pink paint ( or red and white) , a paint brush , some black paper and glue. 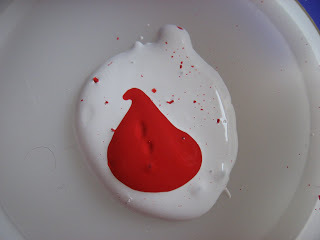 Mix your paint, I know I have been saying this a lot lately but this simple step of mixing colors is such a fast and easy color lesson and kids love to mix things! 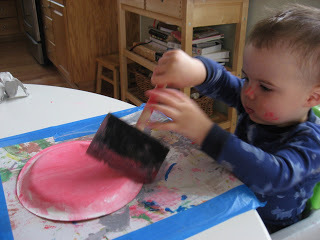 Paint the paper plate . 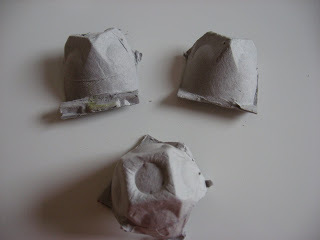 While your child is doing this cut the egg carton into 3 pieces, one whole cup and two half ones. 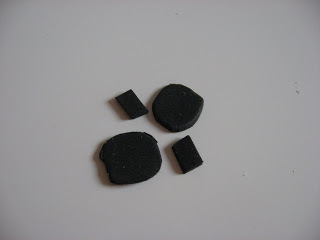 Also cut 2 small black circles and two tiny rectangles for the eyes and nostrils out of the black paper. 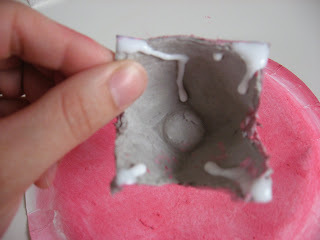 Paint egg carton piece s. You need to paint the inside of 2 egg carton pieces and the outside of the other. All the little pigs rolled in the mug again! ” Grunt” by John Richardson is a classic running away from home story. 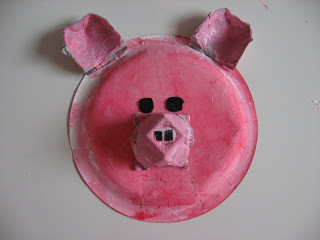 This one is about a pig who is different from all his siblings and can only grunt instead of squeal, and thinks that because he is different his family must not want him. Of course in the end mama is overjoyed to see him come home and he discovers his family does love him. I am biased against books like this cause I just don’t like them, I don’t like that a child( or piglet) has to run away to find out they are loved. Maybe it’s just my own pet peeve , regardless this book is ok, but I won’t be adding it to my bookshelf.” Pigsty” by Mark Teague is more my kind of book. Silly but with a good message. Wendell has a messy room and his mom calls it a pigsty, soon enough pigs start showing up! At first it’s cool , Wendell has fun with the pigs but it’s not long before the pigs are too much and even Wendell can’t take it. I think this book has a great message about responsibility, and how sometimes fun gets to be too much . 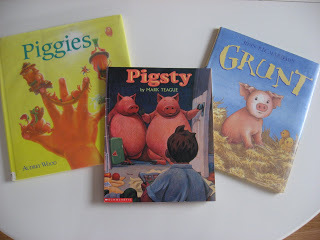 ” Piggies” by Don and Audrey Wood is a great counting book for little guys. 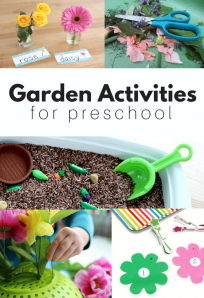 Toddlers love this book. You will probably notice your child touching their fingers as you read this delightful story about little piggies. Previous Post: Letter Of The Week ! Ss ! 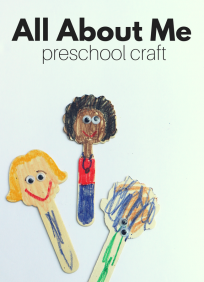 I desperately miss home school preschool. God, those were the good ol’ days. ENJOY! This so cute! We just had a big cookout last weekend and I have zillions of plates leftover that I don’t know what do with! I am sure my 3 y/o will enjoy the painting and I’m hoping my 1 y/o will cooperate to paint. He doesn’t seem to like getting dirty and last time we tried finger painting he didn’t enjoy dunking his hand in blue goo. 🙂 Anyways, thanks again! This is super cute! All finished! We just got done making it! Anderson (3 y/o) had a blast, but my little one was too tired to join us. If you would like to see the pictures, please visit my website http://www.craftsforlittlerugrats.shutterfly.com and the password is brunsonwalker. Thanks for all the craft ideas! Just found this and am hoping that my playgroup families love making there own. thanks for sharing.